For those that are not aware, a content pack for Log Insight is a special type of dashboard group that is read-only to everyone. It is delivered as a file with a “vlcp” extension and can be imported into any instance of Log Insight. VMware delivers a default content pack with Log Insight that is designed for VMware-related log information. Similarly, I built a custom content pack for VMAX log information. This content pack contains both dashboards and user-defined fields. Think of the content pack as a good place to start. Users can create their own dashboards from scratch or by cloning our dashboards or individual widgets. 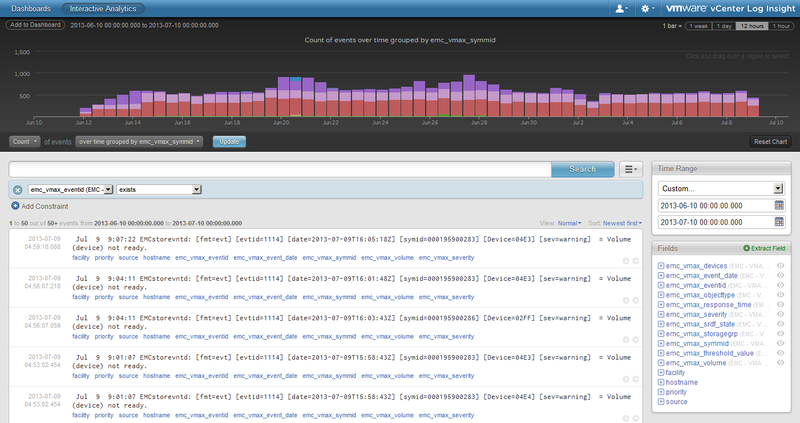 While some log events will be universally of interest to VMAX customers (e.g. director going offline), others will be specific to individual environments. As noted in our previous blog entries, since EMC Solutions Enabler and Unisphere for VMAX can be customized to report on a myriad of objects and events, a customer is able to create their own view within Log Insight. Here are a couple screenshots of the VMAX content pack. 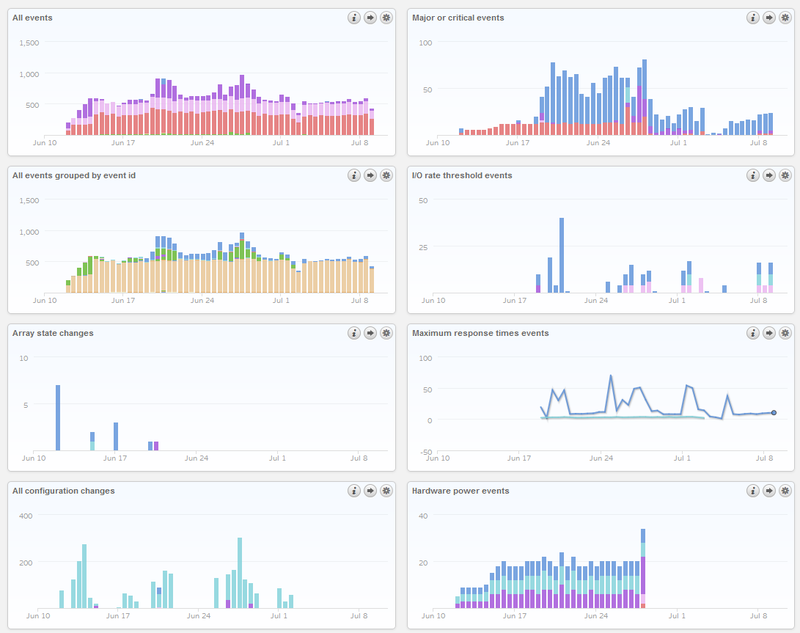 This is the overview dashboard. Looking at all events in the Interactive Analytics page one can see the user-defined fields on the right-hand side that are part of the content pack. These fields identify specific fields in the logs. 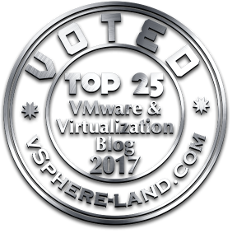 Feel free to link out to the VMware Cloud Marketplace and download the pack – remember it’s free! Previous PostRequest for input: SRDF SRA Techbook for VMware SRMNext PostEMC Storage Integrator 3.0 released!